Erhman begins this chapter by helping readers get acquainted with how historians use the gospels as historical sources. 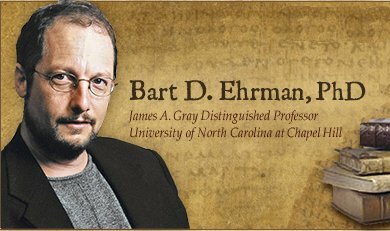 Ehrman’s basic point is that fundamentalist Christians assume a one-to-one historical correlation between what the four gospels narrate and actually how the life of Jesus historically unfolded. Ehrman tries to disabuse Bible readers of this simplistic reading approach by urging that (1) none of the writers were eyewitnesses, (2) there was a long gap of history between the events and the writing of the gospels, (3) the gospels show too many theological biases and historical discrepancies to treat them as accurate and precise sources, and (4) the gospels are written within an oral culture where “it is widely expected that stories will indeed change–they change anytime a storyteller is telling a story in a new context” (93). Jesus is best understood as an apocalyptic prophet who was anticipating that God was soon to intervene in human affairs to overthrow the forces of evil and set up a good kingdom here on earth…[T]his was not unique to Jesus but could be found in the teachings of other apocalyptically minded Jews of his day (see 130, which offers this nice summary of 103-112). But Ehrman goes even further than this and argues that it is likely that Jesus even understood himself to be the messiah, especially based on the fact that this was the reason he was arrested and the charge for which he was executed (123). But, Ehrman is quick to point out – it is one thing to claim to be the messiah, and it is something entirely different to claim to be God. So, Ehrman ends his chapter by asking – Did Jesus claim to be God? Here is his basic conclusion – John’s high-Christology confessions of Jesus are too late and too unlike the Synoptics to be taken as proof positive that the “historical Jesus” himself made such claims: “These divine self-claims in John are part of John’s distinctive theology; they are not part of the historical record of what Jesus actually said” (125). The bottom line here is that, if we look at Mark (the earliest gospel to be written), Jesus makes no unambiguous claims to divinity, and when we see it later, it is superimposed onto Jesus. So, what do I think of this chapter? There were no shockers here – this is quite run-of-the-mill for modern (non-confessional) Jesus scholarship. So, I don’t have much to say in response. Nevertheless, I want to make two academic statements in reply, and one personal statement. (1) There is a long discussion in Jesus scholarship about whether or not we dare even ask what Jesus thought. We don’t have access to his thoughts. We have access to words (maybe) and actions (probably). I am quite surprised Ehrman frames the chapter around Jesus’ thoughts. Most scholars think that unwise, because someone might think quite differently than what they say and do (like dirty politicians!). People like N.T. Wright have pushed the limit by going in the “what Jesus thought” direction, but he is the exception. I think overall most Jesus scholars (whom Ehrman naturally rubs shoulders with each year at AAR) would find his “What did Jesus think” approach out of bounds for the bead-dropping club that would naturally welcome him as ally. (2) I suppose I am not surprised that Ehrman makes no mention nor shows the faintest hint of awareness of a kind of “new look” on the Fourth Gospel. Several scholars (including Marianne Meye Thompson, Richard Bauckham, and Paul N. Anderson) have worked very hard in the last decade to earn for John at least a small chair – heck give him a stool! – at the historical Jesus quest table. Ehrman seems to throw out the baby (Jesus) with the Christology bathwater in his undifferentiated dismissal of the Gospel of John. If we take Paul Anderson’s approach to the writing of John – which sees the material as developing from very early on and only formalized at the close of the first century – John is not so “late” in a very important sense. Here’s another funny thing – later in Ehrman’s book, he seems quite happy to detect pre-formed Christology traditions in Paul, but he seems quite obstinate when it comes to John. (3) Here is my personal statement (regarding how I teach John in respect to the historical Jesus). This is kind of a hypothesis or guess. OK, so I don’t think it is all that big of a deal that Jesus didn’t walk around saying “I am God. worship me!” That would not have been understood at all. Just as it made little sense when he said “Destroy this temple…” and he was talking about his own body. So, Ehrman is right that Jesus makes all kinds of claims that reflect the roles of prophet and messiah. He re-defined the latter role, but it was the charge he accepted (tacitly)? But does that mean John simply decided to break outside of the historical concerns of the Synoptics and just make a bunch of theological stuff up? Me genoito! Here is what I think: John’s community was being challenged by Jews regarding the major claims he was making about the “godness” of Jesus – this looks like two gods and that is not allowed (hence Jewish Christians being kicked out of synagogues). John could have simply emphasized the humanness of Jesus and settled the matter, but that does not capture the true nature of Jesus as understood by the earliest Christians. So instead of backing down against Jewish criticism, John goes in another direction. John writes a gospel where he points to the “godness” of Jesus, but does not make it up. Let’s say, most of the time, Jesus makes claims that are basically what we see in the Synoptics. However, let’s say there are these “breakout” moments where the historical Jesus offers rare glimpses of his hidden, unique divine identity. Now, what if John thinks – what would it look like if we took all of those rare “breakout” moments and string them together? What kind of gospel would we have? So how is this a helpful response to John’s Jewish critics? If he simply reinforces the “godness” of Jesus? The benefit is in the way he shows the relationship between Jesus and the one God – it is not two separate deities, but, rather, Jesus is agent in his being living Word, Body-Temple, Divine King, and One Beloved Son. And so forth. Back to Ehrman: Ehrman denies these “breakout” moments. Thus, John has no foundation whatsoever. But if these “breakout” moments are plausible even if rare (because Jesus purposely didn’t want to walk around all the time saying, “I am Yahweh” or “I am a second God”), then John may be welcome in the conversation after all. Next up: I will look at Ehrman’s chapters on the resurrection in the gospels.